After two years of intense pressure — the U.S. trade war with China, its brinksmanship with allies, and finally the government shutdown — the global system is showing signs of cleaving: The U.S. and the rest of the world appear to be tipping into recession, leading nations are taking each other's nationals hostage, and deadly and frequent violence is striking Europe. 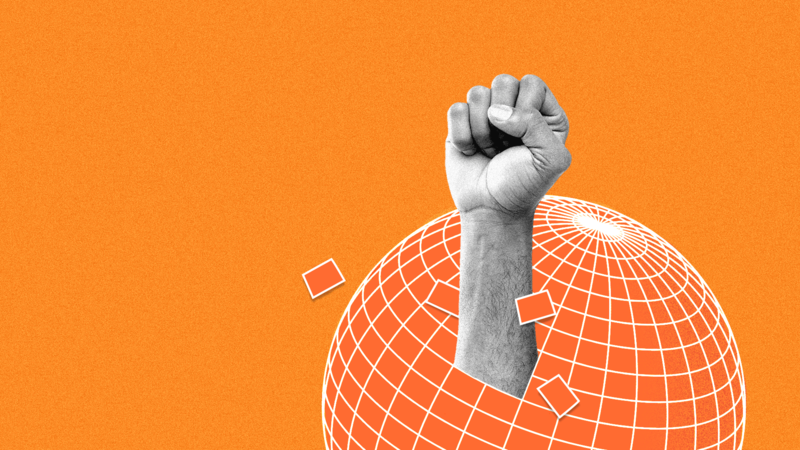 A core observation for 2019 is that the anti-establishment wave has unfolded amid a booming global economy. Now, a key question is how already-furious people will behave when economies almost everywhere begin to go south. Something is clearly wrong with the global economy, which has left behind swaths of populations around the world, disregarded them in political decisions, and all in all forgotten them in the calculus of power. But, thus far, the only economic reaction has been a backlash against Big Tech. In 2019, look for that response to widen into a broadside against capitalism as practiced. The main working dynamic will be the Economic Injustice Rule. This comes into play when people despair of their future, or especially that of their children. Among what you will see: A push for a breakup of big companies whose market power may be behind a long period of essentially flat wages and productivity. This groundswell for much more aggressive anti-trust action could go far beyond tech, including the health, drug and media industries. The economic backlash will wash over into a political reckoning. A sign of the action to come is this now much-circulated Jan. 3 monologue from Fox News firebrand Tucker Carlson: a call to arms against the system and those who would keep it the way it is. Trump's capture of economic discontents was pivotal to his 2016 election victory. But, with a slew of new scholarly books, academic papers and rants like Carlson's, Trump's political hunch has now gained intellectual force. The driving force here is the Staying in Power Rule: It explains that, around the world, regardless of where, the abiding desire of all politicians is to obtain or keep power. Democrats and Republicans alike will understand that serious economic reform has risen to be a bedrock issue. We thought we had already witnessed an explosion of political anger. But 2019 will see greater fury than the last two years, especially in the U.S., where Trump will finally be confronted with the result of the Robert Mueller investigation just as he's preparing for his 2020 re-election campaign. Animating the action again — the Injustice Rule. People — whether they are in Poland, Hungary, Brazil, France or the U.S. — simply do not believe they are getting a fair shake. Axios' Kaveh Waddell reports: Reliable robot grabbers are the just-out-of-reach holy grail for e-commerce outfits like Amazon and Walmart, who still rely mainly on human hands for the job. Smart picker-uppers would clear a serious bottleneck in shipping and could change the nature of warehouses entirely. How it works: Berkeley's two-armed robot, seen in the video clip above, first considers the contents of a bin and calculates each arm's probability of picking up an object. The system learned its pick-up prowess not from actual practice, but from millions of simulated grasps on more than 1,600 3D objects. Warehouse robots that can move around merchandise are highly sought after. Amazon is reportedly working on its own "picker" robots, as are several robotics companies. "You could have very dense warehouses where you could have these bins and robots in really tight quarters," says Goldberg. But, but, but: One limitation of the Berkeley bot is that it can't change its plans once it begins moving to pick up an object, and therefore can't react to its environment — like items resettling in a jostled bin — says Jonas Schneider, head of robotics at OpenAI, who was not involved in this research. Jeff Mahler, a Berkeley researcher and the paper's lead author, says the system only "sees" the bin once every 12 seconds, causing more problems if things shift around. What's next: Mahler says robots will eventually need to place objects in precise orientations and to tightly pack a shipping box. Perhaps most valuable would be a bot that can rummage through a box to find a specific item. U.S. authorities are investigating Huawei, the Chinese telecom giant, for the alleged theft of the tech behind a T-Mobile robot called “Tappy,” reports WSJ. The backdrop: T-Mobile first accused Huawei of thievery in 2014, when the American company had hired the Chinese one to supply phones for its network, Axios' Erica Pandey writes. According to T-Mobile, Huawei employees asked repeated, detailed questions about Tappy. Huawei did not respond to an email. The big picture: It’s yet another strike against Huawei, whose CFO has been detained in Canada and is waiting possible extradition to the U.S. — all in the thick of a new era of hostility between Beijing and Washington. We receive a lot of tech and product pitches. Mostly they resemble each other, but not one that came in today — Food Cubby, "a semi-circle of BPA-Free, food-grade silicone that suctions to a flat dinner plate." Food Cubby's ambitions are wide, seeing as how it "not only separates food for those that don’t like their food touching, but makes it easy to scoop against for those having trouble using utensils." Erica: I think Nepali cuisine, with its curries and stir fries, would greatly benefit from this genius product. Kaveh: I thought it was silly at first, but do see the point of a product that helps with portion control. And there’s a mobility issue, too. Interesting product. 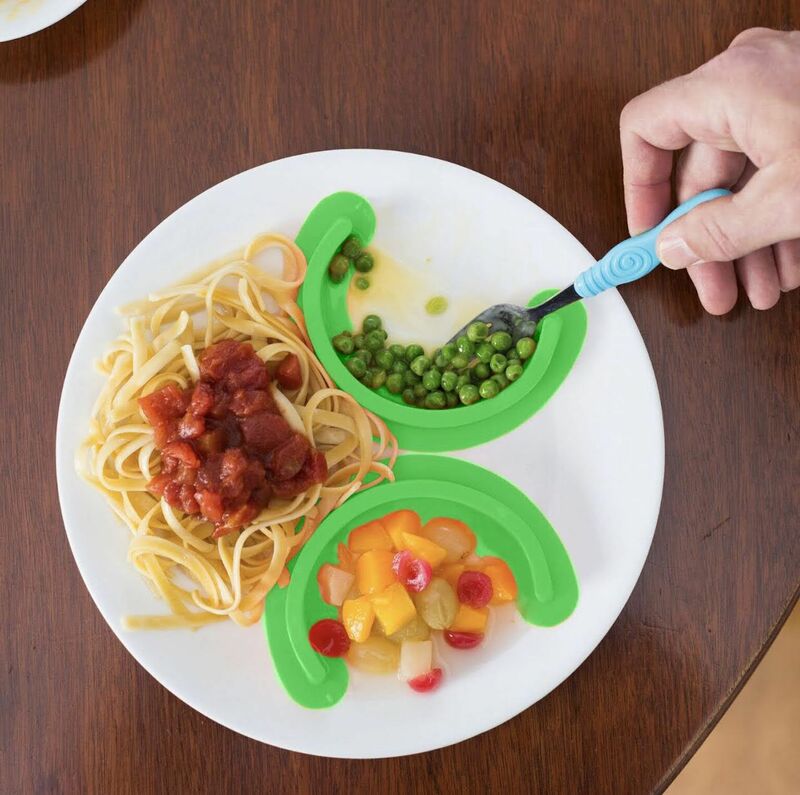 Steve: Does anyone, apart from toddlers and people on an airplane, really want to be seen with food separators on their plate? I personally think it's infantile and bound to be rejected. Feel free to check it out yourself here.